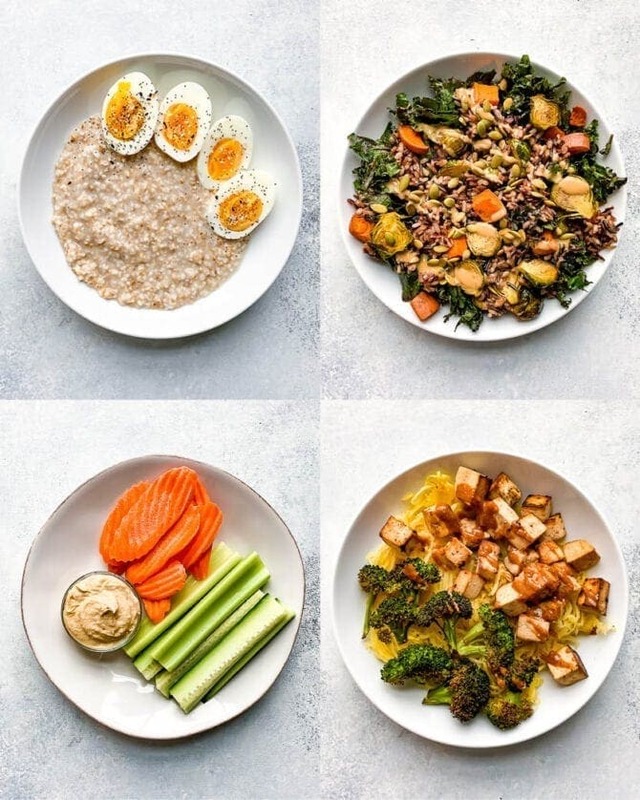 If you’ve heard of flexible dieting or counting macros, it was likely from a fitness guru on Instagram or a friend who is working with a coach to slim down. 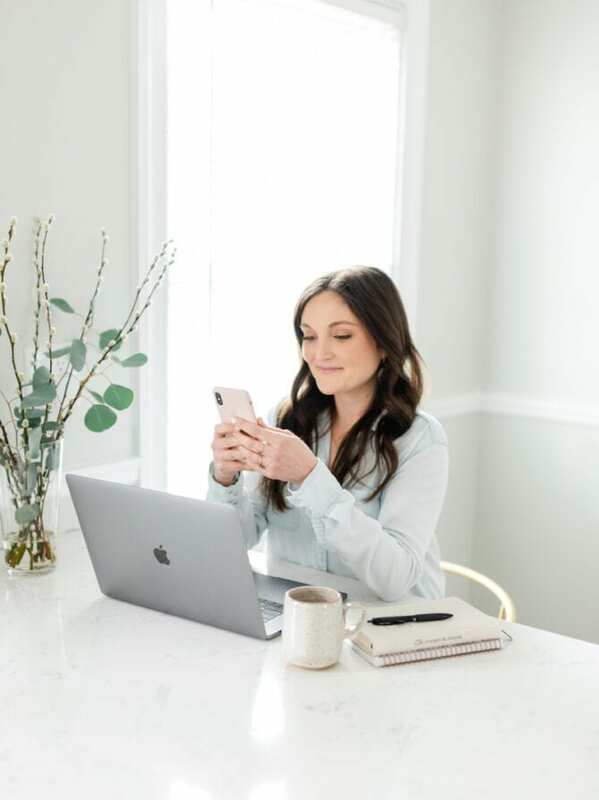 A few of you have expressed interest in learning more about this health trend, so I thought I would break it down for you and share my experience with tracking macros! Let’s start with the basics: what are macros? “Macros” is short for macronutrients. The three macronutrients are carbohydrates, fat, and protein. Alcohol is actually a fourth macronutrient, but we’re going to save that topic for another day. 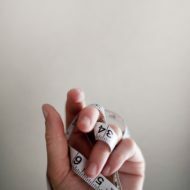 When trying to lose weight, some nutrition experts suggest that instead of focusing on calorie counting alone, you should also track your macronutrient intake to get a better idea of what you’re consuming. This is important because if you’re not eating a balanced amount of macronutrients (carbohydrates, fat, and protein), you might not see the results you’re looking for or feel as good as you’d like. 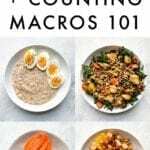 The idea behind macro counting is that you’re allotted a specific number of carbohydrate, fat, and protein grams each day (depending on your body composition and health goals). Carbohydrates – “Carbs” have a bad rap in the health world but the truth is, our bodies need carbs! Carbohydrates fuel our brains and muscles. We want to stick to nutrient-dense carbs, like fruits, veggies, and whole grains – foods that have a good amount of fiber and lower glycemic load – so they won’t spike your blood sugar as much. Carbs to limit include processed bread, crackers, chips, and candy. Some examples of healthy carbs to incorporate into your diet including whole grains (rice, oats), starchy vegetables (sweet potato, white potato, squash), fresh fruit, and legumes. Fat – Fat has also gotten a bad rap in the health world! It’s so strange that these huge overarching nutrients are looked down upon by some. Sure, we want to limit certain fats (trans fat specifically) and eat more healthy fats, but in general, fat is good! Fat helps with vitamin absorption and brain function. It also helps insulate and protect our bones and organs. It’s a precursor for many hormones and acts as a backup fuel source. Some examples of fats to incorporate into your diet include nuts, seeds, oils (coconut, avocado, olive), nut butters, avocado, salmon, and coconut. Protein – Protein is the one macronutrient that has always been seen in a positive light in the health world – let’s keep it that way! Protein is made up of amino acids, the building block of muscles. It also supports our organs, skin, blood, hormones, and helps with satiety. Some examples of healthy proteins include lean meats and poultry (chicken breast, turkey, low-fat beef), fish (tuna, tilapia, cod, salmon, shrimp), protein powder, Greek yogurt, cottage cheese, tofu, and tempeh. How do I figure out my macros? My recommendation here is to work with a coach that specializes in macros! There are websites (like this one) that you can use to figure out a ballpark range – but to get actual numbers personalized to you, your body, your activity level, and your health goals, I recommend working with a coach. I’ve experimented with a ton of different macronutrient ratios over the years, but lately I’ve been focused on 40% carbs, 30% protein, and 30% fat. This seems to feel really balanced and achievable for me! You can be vegan, vegetarian, dairy-free, gluten-free, etc. and follow the guidelines of flexible dieting and tracking macros. It works for any and all dietary preferences. One of the big benefits of paying attention to the macronutrients you’re eating is that you’ll likely be eating whole foods most of the time, because it’s much easier to meet your goals this way. For instance, when you’re just focused on the calorie count of specific foods you can easily get away with eating junk all day but still meet your calorie allotment for the day. With counting macros, you can still do this – but it’s much harder to meet your goals by eating processed junk. You’re also more aware of the food you’re eating. I’ve found that planning meals around a balance of protein, carbs, and healthy fats has helped me feel better overall . . . I feel full longer and my energy is more balanced throughout the day. Another great thing about flexible dieting is that no foods are off limits – you just have to track the food and fit it into your macronutrients ratios for the day. Once you’ve been tracking for a while, this process gets easier because you’ll know that if you eat a doughnut for breakfast, you’ll likely want your remaining meals to be lighter in carbs and fat (as well as higher in protein) to meet your goals. It can be a cumbersome process, especially if you’re new to the world of macronutrients. It’s a lot to learn and can feel overwhelming to measure and track every single thing you eat. It can take the fun out of eating. If every time you eat you’re doing math before and after to make sure a meal fits within your macro ratio, it can take the enjoyment out of eating and make you eat less intuitively. 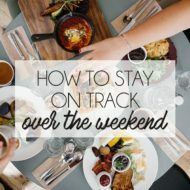 It can also make you feel like you have to eat the same foods all the time because they’re easier to track, or that you can’t eat out because you’re not sure how to pick macro-friendly meals at restaurants, or how to fit “fun foods” (like wine and dessert) into your macros for the day. Tracking macros isn’t ideal for someone with a history of disordered eating, because it’s easy to get too caught up in the numbers or obsess about getting the exact right number of macronutrients. I don’t think this is as big of a trend as it used to be, but some flexible dieting advocates on Instagram will post photos of doughnuts, candy, and other over the top treats with the hashtag #iifym – suggesting that when following a flexible dieting approach you can eat loads of junk as long as it fits into your macros. As we all know, processed junk breaks down and affects our bodies much differently than the way a vegetable would. 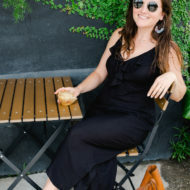 You’re also missing out on loads of micronutrients (like vitamins, minerals, and enzymes) when eating this way and likely increasing inflammation, bloating, and cravings. The most precise way to track macros involves measuring or weighing your food and tracking your food intake through an app (like MyFitnessPal), a spreadsheet if you’re super into math, or good ol’ pen and paper. If you’re not super familiar with macronutrients (what they are and how to categorize foods) using a tracking app will be easiest for you. If you can easily identify what macronutrient a food item is, feel free just to weigh and track it. For example, when I’m making a simple dinner of grilled chicken and roasted veggies, I can weigh the chicken and put it into MyFitnessPal to see how many grams of protein I’m eating, measure the veggies to see how many grams of carbohydrates I’m eating, and measure the oil to coat and roast the veggies to see how many grams of fat I’m eating. If I’m eating a casserole or soup, I enter all of the ingredients or the full recipe into MyFitnessPal and it will calculate how many grams of carbs, fat, and protein are in the dish. All of the recipes here on EBF have nutrition facts (and most are already on MyFitnessPal) so you can easily track the macronutrients and add them to your daily journal if that’s of interest to you. Measuring cups + measuring spoons: I’m sure you likely already have a set of measuring cups and spoons, but if not, it’s time to invest in these babies because you’ll definitely need them for measuring and tracking the food you eat. Some recommended options: dry measuring cups, liquid measuring cups, measuring spoons. Digital food scale: Some foods (like chicken breast, for example) are way easier to measure by weight on a scale instead of trying to fit them into measuring cups. Food scales are also super handy if you do a lot of baking because the measurements are more accurate. I recently purchased this one. Apps: There are a ton of apps out there, but here are a few that I’ve heard of or used: MyFitnessPal, LoseIt, and Cronometer. I’ve experimented with a few different ways to track macros. The first involves having a coach help me come up with my macro needs and using MyFitnessPal to track. I’ve used MyFitnessPal on and off for years, but until about 5 years ago I had never used it to track macros. Overall, every time I’ve tried this method, it’s felt too daunting and overwhelming to stick with long term. I will track for a week or so, but will eventually forget to track one day and then sort of fall off the tracking wagon. I’ve done this so many times that I’ve realized that tracking every single thing I eat might not be the best method for me. Luckily, through the tracking process, I have learned how to eyeball portion sizes of each macronutrient so that I can build macro-balanced meals without having to track every item I eat. Sometimes I’ll still break out my food scale, just to be sure I’m getting the appropriate amount of protein or to measure a serving size of foods that are easy to overeat (like trail mix), but overall I’ve become pretty good at knowing which foods fall into which macronutrient category and I can build balanced meals without having to track every item. The main thing I learned when I first started tracking was that although I was eating the appropriate number of calories each day, I was eating a lot of carbs and fat but not enough protein. Once I started adding in more protein-rich foods to get my protein intake up, I noticed that I wasn’t hungry all the time, I had more energy at the gym, and I noticed my body composition changing as well. In your article Flexible Dieting and How to Figure Out My Macros 101, in the section How to Cpunt Macros, you wrote that you’ve been “focused on 40%carbs, 30% carbs and 30% fat”. Did you mean, “ 40% protein”? Omg! Thank you for catching this. It should say 30% protein. Definitely not focused on a diet of 70% carbs, 30% fat and no protein. haha! What is the dish on the bottom right? Thank you for posting! This helped me to better understand macronutrients and the percentages.